January is Alzheimer’s Awareness Month, an opportunity for all Canadians to increase their awareness of dementia, including Alzheimer’s disease, which continues to have a significant and growing impact across Canada. According to the Government of Canada, more than 400,000 Canadians aged 65 and older have been diagnosed with dementia, including Alzheimer’s disease. 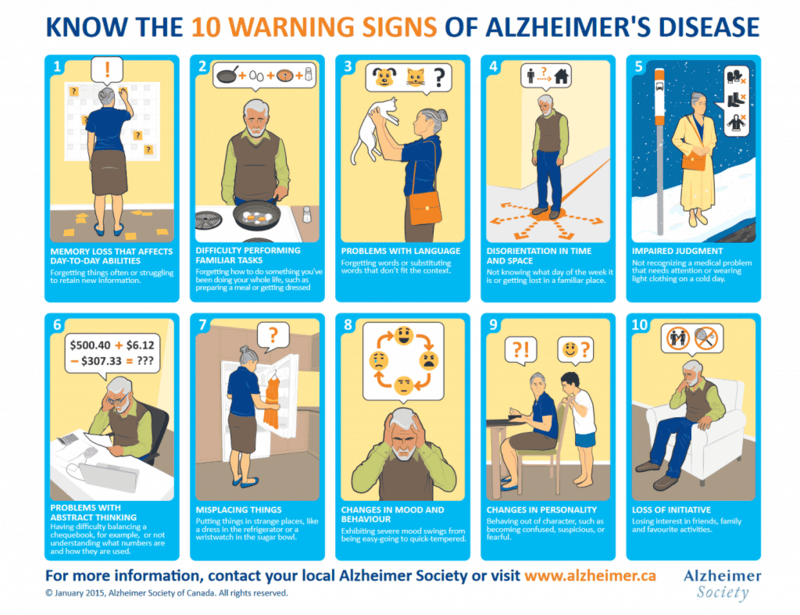 While most Canadians believe memory loss is the only warning sign of Alzheimer’s disease, there are nine other signs which are often misunderstood or ignored. Recognizing the signs as soon as possible is critical for getting the treatment and support you need to live well with the disease and start planning for the future. We encourage you to visit the Alzheimer Society of Manitoba website to learn about their work in the province and their education sessions happening throughout January. Visit ilivewithdementia.ca to show your support by using hashtag #ilivewithdementia this January. Partners for Home is proud to be helping those living with or affected by Alzheimer’s or Dementia live safer, more independent lives. Let’s work together to improve the lives of Canadians with dementia, as well as their families and caregivers.